Salesforce allows you to upload files in a number of ways to your organization. To make the process simpler with Formyoula mobile forms, we created a Salesforce package called Formyoula File. 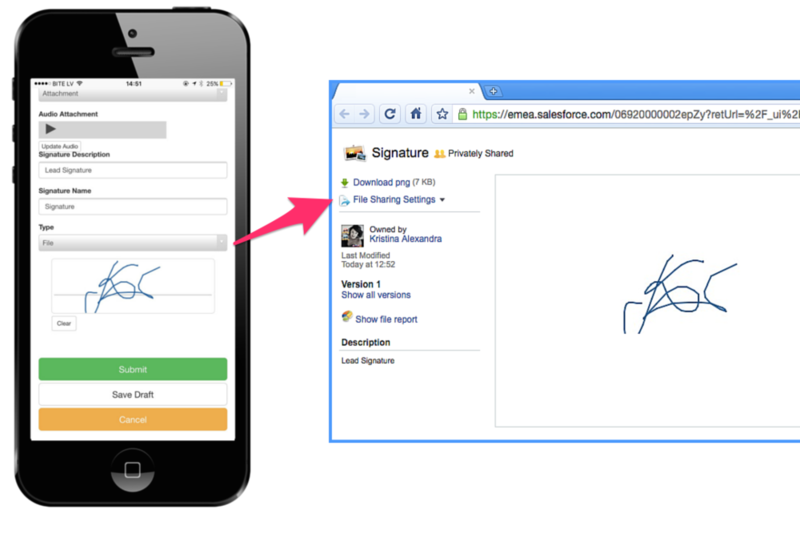 The package enables Salesforce and non-Salesforce users to submit images, audio files, and signatures into Salesforce from Formyoula while offline. 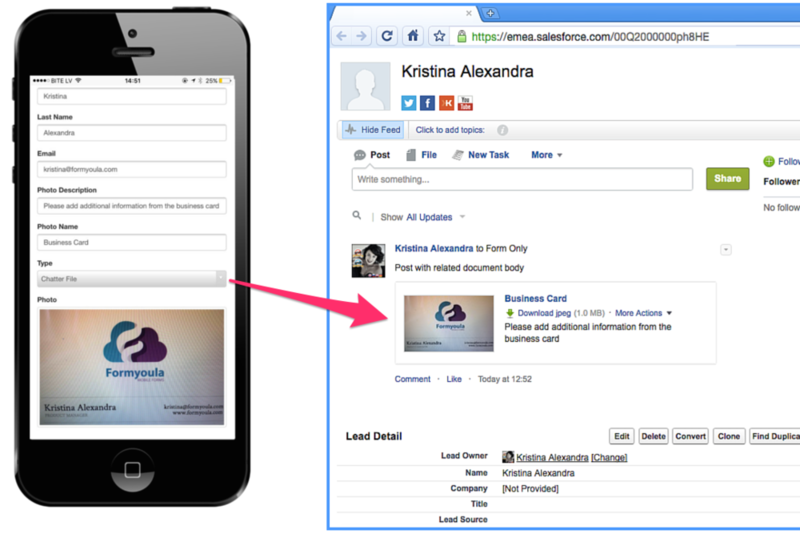 Formyoula files can be recorded as Chatter files, attachments, and documents on Salesforce. Using the Formyoula Salesforce connections, you can choose how and where the files are recorded on Salesforce. Files can be posted in the record, user and group Chatter feeds or attached to existing or new Salesforce records. With Formyoula File, you only have one interface for file uploads, so this eliminates the need to understand how all the different file objects work on Salesforce. After mapping the required Formyoula File fields, you can specify any of the 3 Salesforce file types. Please see example screenshots for all Salesforce file types. We have published 2 guides that will walk you through the setup.